Cowboy Corn on the Cob is sweet and spicy all at once! 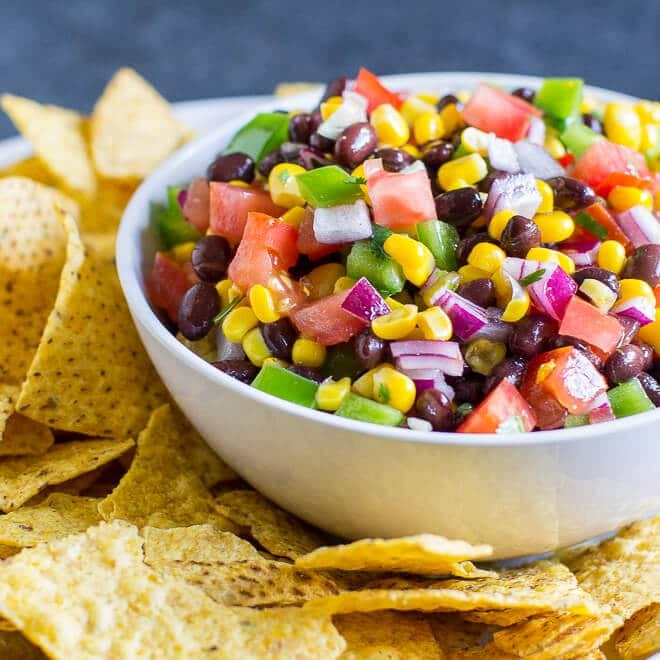 Make it on the grill or in the oven for the perfect summer side dish. So easy and packed with flavor! I’ve always loved this phrase: Knee high by the 4th of July. For anyone who has no idea what I’m talking about, it’s a way to judge corn throughout the growing season to see if it’s on track for harvest. Will it be knee-high by the 4th of July? And to everyone living in the corn belt: Was it? If it was, do you need a recipe? Cowboy Corn on the Cob feels appropriate! 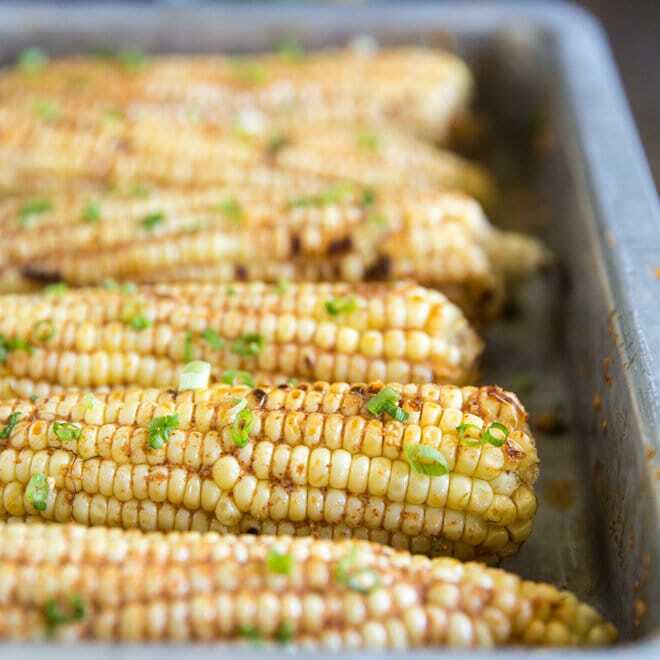 You can grill your corn on a grill or in the oven – either way it’s great! You leave the husks on for grilling and/or roasting. Meanwhile, make a creamy buttery sweet-and-spicy sauce for drowning the corn. You can easily adjust the spice up or down based on your usage of cayenne pepper. You can also use either sour cream or cream cheese for the sauce. I’ve tried it both ways – no bad ways! And PLEASE let me know about the corn situation! I’M ALL EARS! 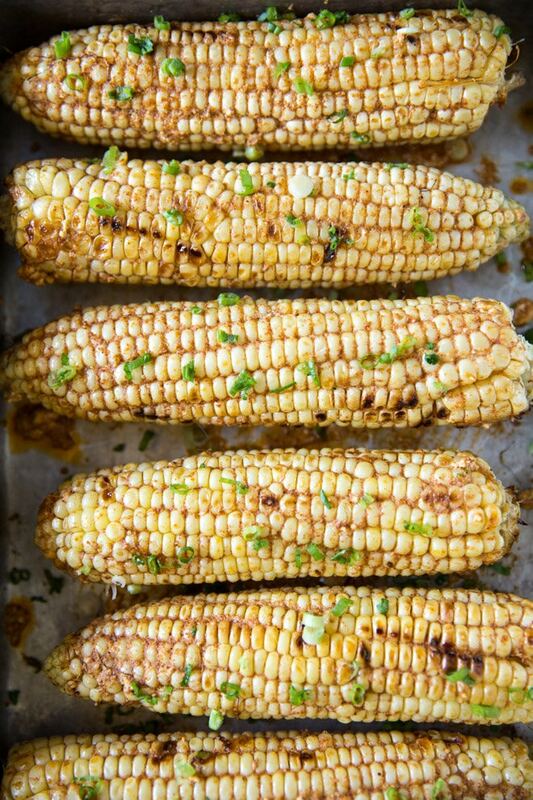 Save this Cowboy Corn on the Cob to your “Side Dishes” Pinterest board! To prepare the corn, peel back the husks, remove the silk, and place the husks back over the corn cob. Soak the corn in a large bowl of cold water for 30 minutes. Meanwhile, heat the grill to medium-high heat. 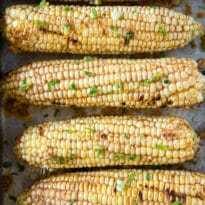 Place the corn directly on the grill grate, cover, and grill turning once or twice using tongs, about 15 to 30 minutes. 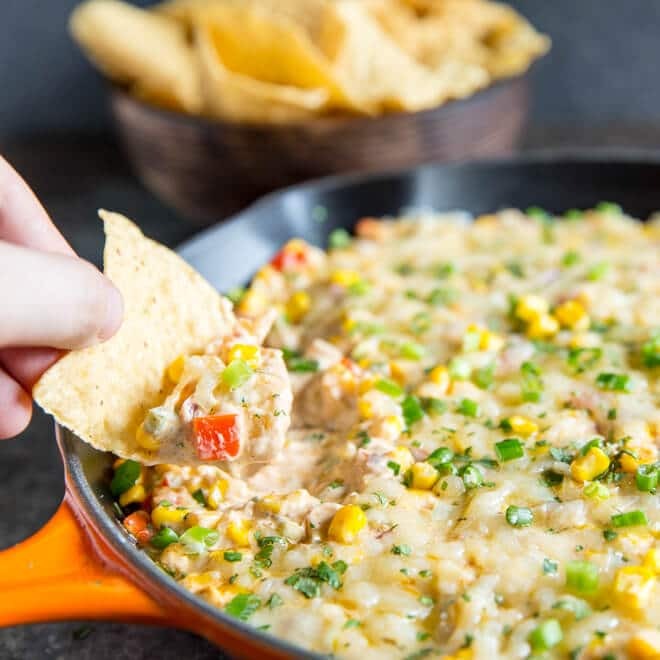 While the corn is grilling, in a small saucepan, place the butter, sour cream, paprika, chili powder, and red pepper over medium-high heat. Stir occasionally until butter is melted and the ingredients are incorporated. Season to taste with salt and freshly ground black pepper. Pour into a baking dish. Shuck the corn and place into the butter bath and coat evenly, using a pastry brush to cover the ends and sides. Garnish with scallions and serve. Oven Option: Preheat the oven to 400 degrees, and place de-silked cobs with husks directly onto the oven rack after soaking them. Roast 15 to 30 minutes, then follow the recipe as directed. Adapted from Recipes from My Home Kitchen by Christine Ha. I just happen to have some fresh ears. I always soak then grill mine in the husks. They husk and de-silk so easily like that. This will be on the plate tonight with the toppings. I have used crumbly, cotija cheese with mayonnaise and chili seasoning too but never the onion greens. One could use fresh chives as well. Of course, that addictively decadent, jello raspberry tart is for dessert. I’ve never seen anything like this before, but holy cow does it look delicious! Such a cool, fun way to switch it up the normal corn on the cob!